facilities at their plants in Karachi and Lahore. It remains a family business now in its fourth generation. 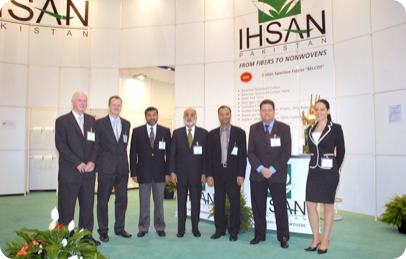 Please see below the range of products available from Ihsan Sons. Contact Us and we would be happy to discuss your requirements. of a 100% cotton spunlace line producing fabrics in the range of 30 – 70gsm. We are able to offer a variety of widths from 5 cm to 200 cm. for both nonwovens and bleached fibre. and if needed will produce new qualities to customer’s approval. to any of the world’s Pharmacopoeia standards. Ne 3’s to Ne 36’s twisting and doubling also available. twisting and doubling also available. 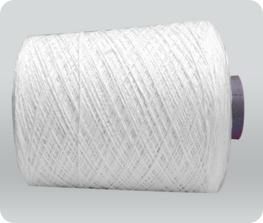 • Regenerated Cotton Yarns, typically containing 85-90% cotton and 10-15% other fibres. Pharmacopoeia standards predominately for the medical and femcare industry. predominantly going into the manufacture of bleached stockinette or dishcloths. Mop yarns and made up mops are now available in a variety of forms. Umbrella mop, loop mops (Green available) and Wet mops with mesh. quality and favourable lead times. • Bleached dishcloths from regenerated yarns of at least 85% cotton. more recently moved into the UK market. We also have a dipped line for Nitrile Gloves. Facilities are available to put your company LOGO marked onto the glove. Gloves are packaged to your specification and we can supply them with cardboard hangers for the consumer market. Gloves are sold in 20 foot containers. 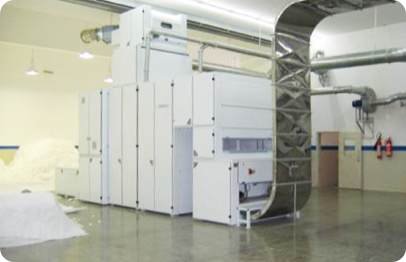 spinning, felt, security paper and the bedding industry.